Item #44105 : Original period manufacture. 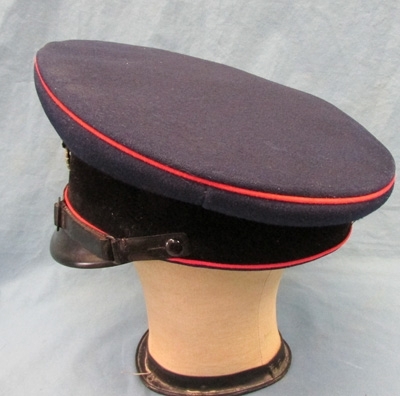 A very fine quality, issue style hat for an enlisted fireman. Carmine piped dark blue wool bodied hat with a black velvet band and two rows of carmine piping. 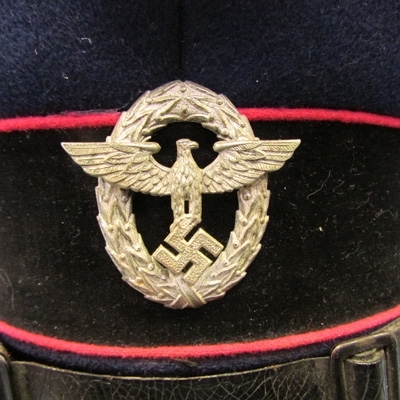 Early quality, two piece, stamped alloy Police pattern eagle with frosted silver and polished highlights. 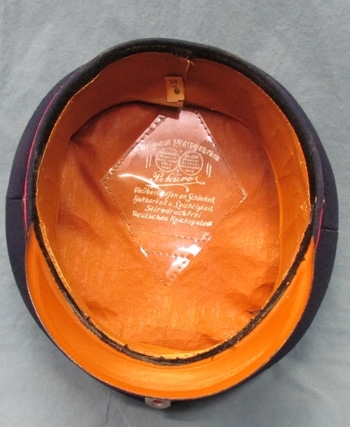 Tri-color metal cockade at top.Full orange oilcloth lining with an undamaged plastic sweatshield with silver painted makers logo and name, Pekuro. There is a black velvet cushion between the brown oilcloth sweatband and inner band, with the sweatband showing wear at the front, and some evidence of an old glue repair. 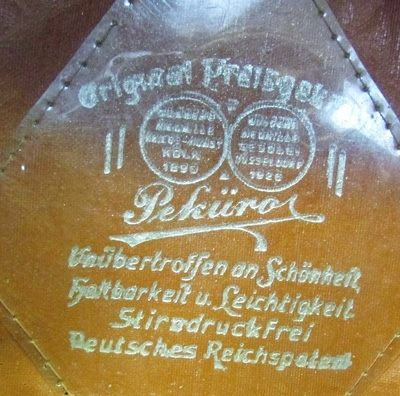 Original paper size tag (58) in the rear of the sweatband. 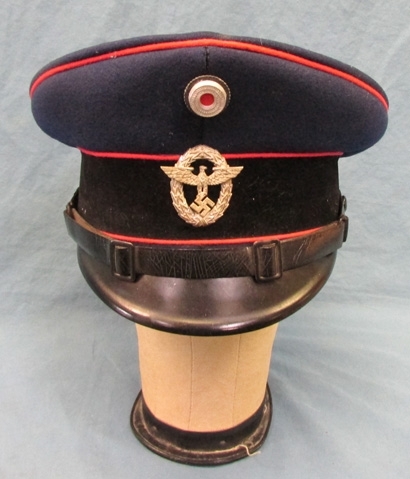 Extremely minor amount of mothing to the piping and body of the hat, it presents well and is a very clean example.